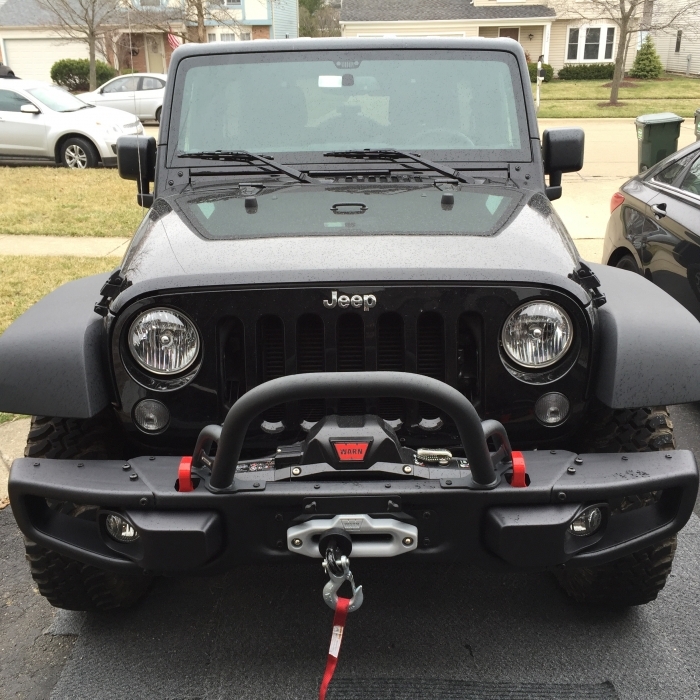 Easily mount a winch inside your 10th Anniversary Rubicon Front Bumper, Rubicon Hard Rock Bumper, or Rubicon Moab Bumper between the years of 2013-2018. 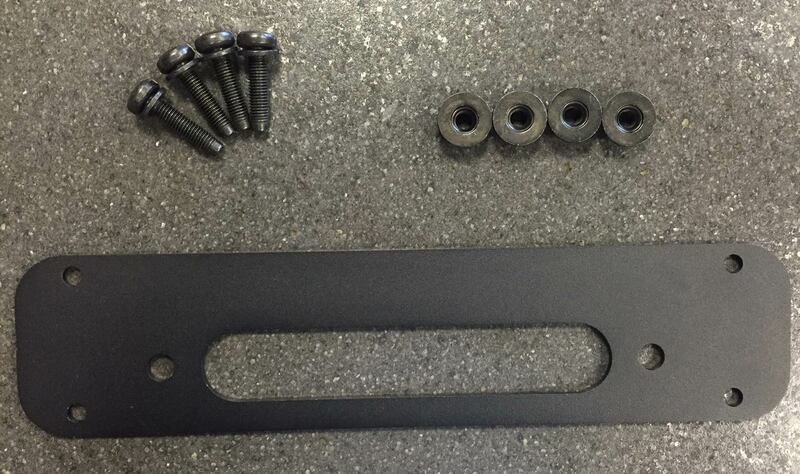 Kit comes complete with everything you need for installation, but does require also purchasing the winch fairlead adapter plate. Does not include winch or winch cable fair lead. 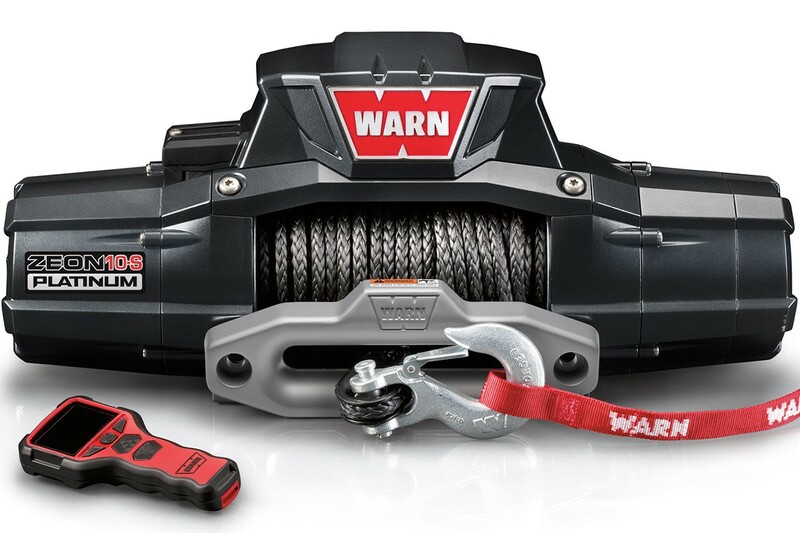 Compatible with most winches including the center-mount Warn Zeon Winches. I used a jack to lift and force it into alignment to put the bumper back on. A+ construction. Fantastic upgrade for those wanting to maintain a stock look. Purchased this after dimpling my plastic bumper on a trail. I never even felt it#8364;�€œdidn't even know I did it until I was re-inflating my tires. I wanted a more rugged trail bumper, but wanted to maintain a stock look (I have clients that need to see a less beastly vehicle :) Plus, I just love the stock jeep vibe. This is relatively easy to install, very rugged, looks great with a hoop on it (I wanted to break up the lines of the front; while I need not to look "beastly", I don't want to look to domesticated, either). Have a Warn Zeon 10 installed as well, which I could't do with the plastic one. The red accents of the bumper and the Warn plate on the control box work great together. Another great feature is the ability to remove the end caps to make this a stubby bumper for rock-crawling (That's where I dimpled the plastic one, so, problem doubly solved). ProsSturdy; Well-built; Beautiful design and look; Removable end caps; Can accept a winch; Maintains Jeep stock look; Agressive, but not beastly; Easier to clean than the stock plastic bumper. ConsIMO, needs a hoop to break up the lines a bit; integrates the bumper to the grill better.